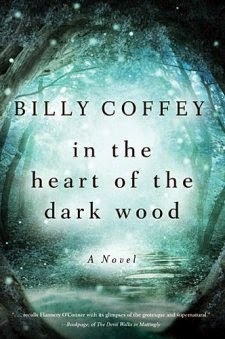 Billy Coffey's In the Heart of the Dark Wood is his third book set in the town of Mattingly, Virginia, and like When Mockingbird's Sing, it is a beautifully moving, compelling, and surprising story. Allie is back in this book, which takes place a year and a half after Mockingbird. After losing her mother, Allie is clinging to memories in this coming-of-age novel, as she struggles to survive her grief and loss. In the Heart of the Dark Wood isn't your typical Christian fiction, and it really surpasses genres. Billy Coffey's writing style is rich; as you follow Zach and Allie through the woods, you feel as if you've entered the world of a literary master. "Hope. One that said the moorings of her life may have come loose, but what was loosed could be tied back again" (p. 321). In the Heart of the Dark Wood is a gripping book that is nearly impossible to put down until you reach the end, and then you'll want to read it again.